The Dragon Ball craze took over the West as soon as the anime left Japan. In a matter of months audiences everywhere were following the spectacular battles, malicious villains and the likeable cast of heroes and supporting characters. Without a doubt, Dragon Ball Z was, along with Sailor Moon and Pokemon, responsible for popularizing the form known as anime amongst western audiences. There have been countless games bearing the Dragon Ball title, some of which were only average licensed cash-grabs. Nevertheless, few titles have manage to excite both fans and newcomers, and provide decent gameplay with a healthy dose of fan-service. The success of the Budokai and Budokai Tenkaichi fighting series made it clear that the Z Fighters were relevant and here to stay. Sadly though, in the last console generation Dragon Ball games started to decline in quality, and with the recent Dragon Ball: Battle of Z, it seemed that the amazing source material was doomed to be presented in poor games only the most devoted of fans would buy and eventually enjoy. 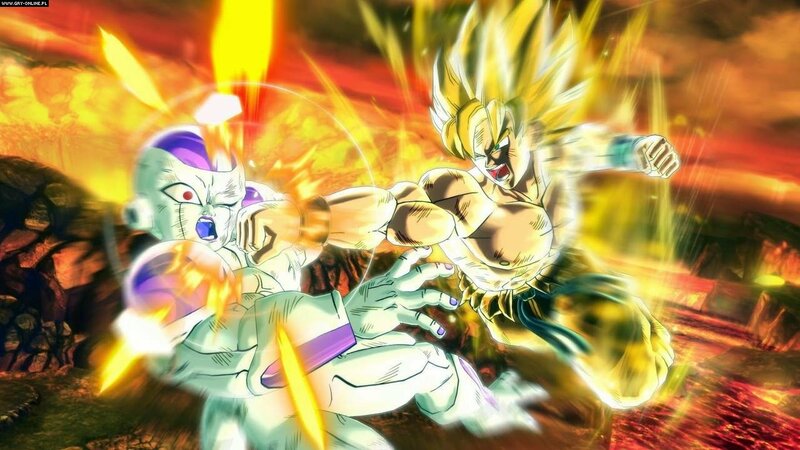 Does the recently released Dragon Ball: Xenoverse make Dragon Ball cool again? For the past couple of years the biggest issue with DBZ games has been, paradoxically, the plot. The story of the Z Warriors is known by heart by almost everyone interested in the source material. In case you are behind on your Dragon Ball trivia, all you need to do is play two random games from the franchise to catch up on all of it. For a while now the developers have been struggling with how to enhance the story, which we are tasked with reliving in every single game. Long before its’ release Dragon Ball: Xenoverse has been advertised as a Dragon Ball game that will blow our minds in the terms of story. This time around, the world of Dragon Ball is in great peril because someone is messing around with the space-time continuum. Fans’ favorite time-traveler, the pink-haired Trunks, summons Shenron for help. The great dragon, in all his wisdom and might, sends him our hero. It soon becomes clear that the ones causing trouble for Goku and his crew, are the mysterious Mira and Towa, and their influence might have a catastrophic result. We are tasked with traversing time and space to witness the crucial events in the history, and set them straight. Sadly though, the potential of the plot is wasted, when it turns out that, once again, we have to relive the battles we have fought countless times before. Every now and then the circumstances of solving our problems with our fists change however, but those certainly should be more often. Taking into account the time anomalies and alternative plotlines it’s hard not to wonder why didn’t the developers try to shake things up more. Just like in the quite decent Dragon Ball Z: Shin Budokai – Another Road for the PSP, where time travel and experimenting with the story were just there to fool us – once again in a Dragon Ball game will we have to skip cutscenes to finish the dozen hour-long campaign to unlock playable characters as soon as possible. And, as this is a fighting game based on an anime license, the fighters aren’t available from the get-go. That wouldn’t be an issue if not for the fact that the story mode is one of the game’s biggest flaws. Some monotonous fights drag on too long, forcing us to mindlessly mash two buttons, while others simply drive us mad. The frustration is mostly caused by the AI and the uneven pacing of the story mode. Some epic fights will be over in a blink of an eye, while others we’ll have to redo a couple of times, as they are made up of a few minor stages that have to be beaten one after the other. The fact that our allies often qualify for a Darwin Award doesn’t help either, while the enemies often spam the same moves and overall act as to make the fight as long as possible. Lucky for us, the story mode isn’t the main dish here. After a short prologue as the most popular saiyan to grace the small screen, we finally get to control our own hero. Before we create our dream fighter, we get to chose from one of the five available races: saiyan, human, namek, the demonic majin and a Frieza-like alien. A character-created hero was already featured in Ultimate Tenkaichi on the last generation, but this time around this element plays a much bigger part. It is our own character with which we’ll spend most of the time in Dragon Ball: Xenoverse. Gathering experience points and money from fights won, we will develop our fighter and outfit him or her with shinier and more durable clothing items. The character roster is one of the weirdest in the history of the franchise. Despite some of the most popular heroes making an appearance, the likes of Android 16 and Zarbon have been omitted. They have been replaced by such ‘fan favorites’ as Frieza’s soldiers Raspberry and Appule. Perfectionists won’t be satisfied either – without 2 DLC characters (and more DLC’s are on their way) we won’t be able to complete the whole roster and will end up with ‘merely’ 49 fighters. In comparison: Dragon Ball Z: Budokai Tenkaichi 3 for the PS2 had 161 of them. Obviously the creators didn’t only focus on the looks alone – when it comes to learning special moves and ultimate attacks, we truly have a lot of possibilities. It’s an another aspect that makes Xenoverse more of a RPG game, than a standard fighting game. Toki Toki City, our in-game hub, is every once in a while visited by the likes of series regulars such as Krillin, Vegeta or Piccolo, who will gladly become our martial arts sensei. Learning from our master turns into a side-quest in which we get to know moves from the show. When we take into account the quite large amount of attacks unlockable through other means, or those that can be bought at the shop, it turns that nothing stops us from mixing up such moves as the famous Kamehameha, or the devastating Special Beam Cannon on a daily basis. We have a lot of room to express ourselves, and it is equally fun to see the creations of other players, who, like in a MMO game, roam around the hub. Combat system? What combat system? The main menu doesn’t offer a standard 2-player versus mode. With much disbelief I searched Toki Toki only to get disappointed in the end. When I finally came by a NPC who instructed me to turn on a second controller, it turned out that fighting with a human fighter right next to us doesn’t surpass the bland story mode. Along with our buddy we are restricted by the same camera and a very small area. 2D fighting still didn’t bore us over the years, but you can imagine how bad it gets when the camera that’s for the most part behind our back (and even then has issues) tries to capture two players at once. At that time, the spectacular fights seem poor. 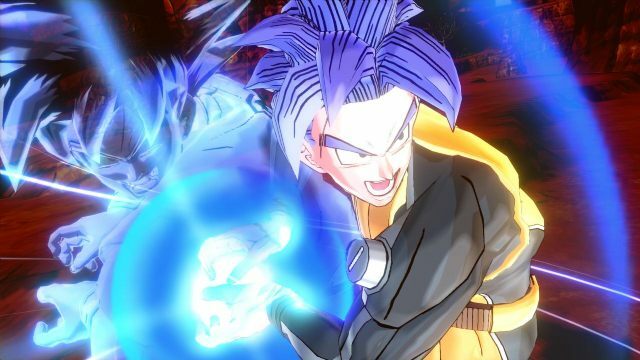 Right at this point the review could be ended – Dragon Ball: Xenoverse is a shallow fighting game that doesn’t offer us much. However, that statement would be harming, as it is when we go online when the game reveals its’ true nature. In a way, Dragon Ball: Xenoverse is to Budokai what Destiny is to Halo. When I’ve finished my first 3vs.3 battle, or when I won a ranked match obliterating a much stronger player, it turned out that the game can be a lot of fun. Simple as it is, the fighting system becomes much more demanding when we are being stormed with other players and the screen is overflowing with energy waves. The best part of it is that the aforementioned RPG-like elements really come into fruition when we try to find our own fighting style for online battles. When we add to it the wild and colorful creations of other players, we easily forget the character roster and the versus. Other time travelers can be also great allies when take a break from duels, and take on Parallel Missions – simple quests with a growing difficulty level. When we complete such a mission, we get valuable materials for item creation and precious resources to develop our character further. I don’t need to tell you how addictive it gets. After an intro with the famous Cha-La Head-Cha-La in the background, we enthusiastically jump into the game world. The visual side of Dragon Ball: Xenoverse looks really good. The original score may leave much to be desired, but the loud explosions and the japanese voice acting manage to save the day. There are texture issues every once in a while in characters of other players, and the locations could allow more destruction. Overall though, Xenoverse looks and sounds just like a Dragon Ball game should – with bright colors and explosions. Even the most absurd characters we meet manage to look well, and known heroes look better than ever. When it comes to stages, ‘overwhelming’ is not the word that comes to mind – we got the usual treatment with the most popular arenas from the anime. 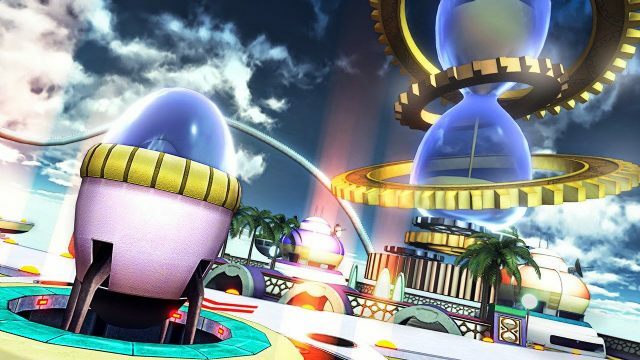 You can be certain you’ll get to visit the Cell Games Arena, the surface of planet Namek, or the Kai World where our heroes have fought the vicious Kid Buu. For all its’ intents and purposes, the game focuses on large open areas – when larger obstacles appear, or when we end up in a narrow space, the camera simply goes berserk. Apart from the unpredictable camera, one can complain about the online functionality of the game. Not once was I, for unclear reasons, dropped from a session or was I forced to start the game over. In the long run it wasn’t that annoying, as soon after I often managed to find new alien friends to join in on inter-dimensional battles. Around the release date there were quite many enthusiastic player available. A question remains: after a month or so, will people still want to play Dragon Ball: Xenoverse? Father & Son Kamehamehha a cult classic. Alternative versions of known battles come down to meeting famous villains who where infused with ‘dark energy’. We must help the good guys in defeating the over-powered baddies. In the end, it all boils down to fighting the same opponents we usually face, but this time around they have a purple glow. Some fans may be wrongly led to believe that the story mode is something special. Spoiler alert – it really isn’t. Dragon Ball: Xenoverse is a peculiar game. Fans of the show will certainly play the game, because, as the sales suggest, despite all the years we still care about Dragon Ball. Still, the game manages to disappoint a bit. It is clearly visible that the developers had problems with in what direction the game was heading, and the final product has something of an identity crisis. The multiplayer prevents the game from being merely a mediocre licensed game, but this element could have been diversified instead of putting focus on the singleplayer campaign. On the other hand, those who don’t fancy online play, will get bored really soon, and those looking for a standard fighting game will be greatly disappointed. 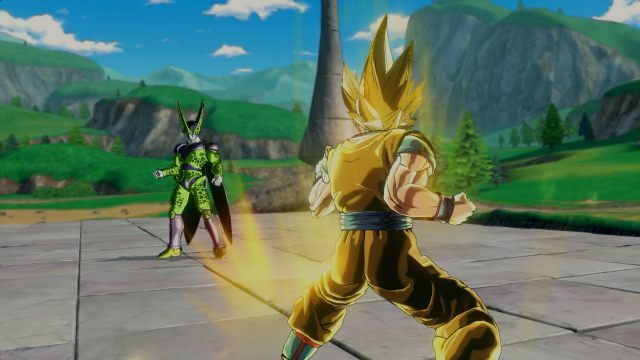 Dragon Ball: Xenoverse is far from perfect, but it surely has its’ moments. We can only hope that the gameplay, that is a hybrid of a MMO and a fighting game, will evolve with further entries into something polished and confident of its’ identity. As of now, we can be happy that at least someone is trying to experiment with the franchise, and trying to make more of it. 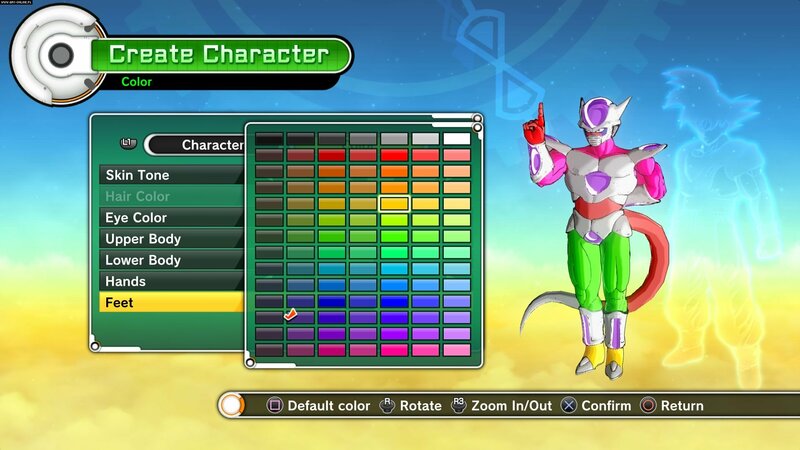 However, the various missteps and the story mode prevent Dragon Ball: Xenoverse from reaching its’ full potential. Sadly, the game can only be recommended to hardocre Dragon Ball fans.